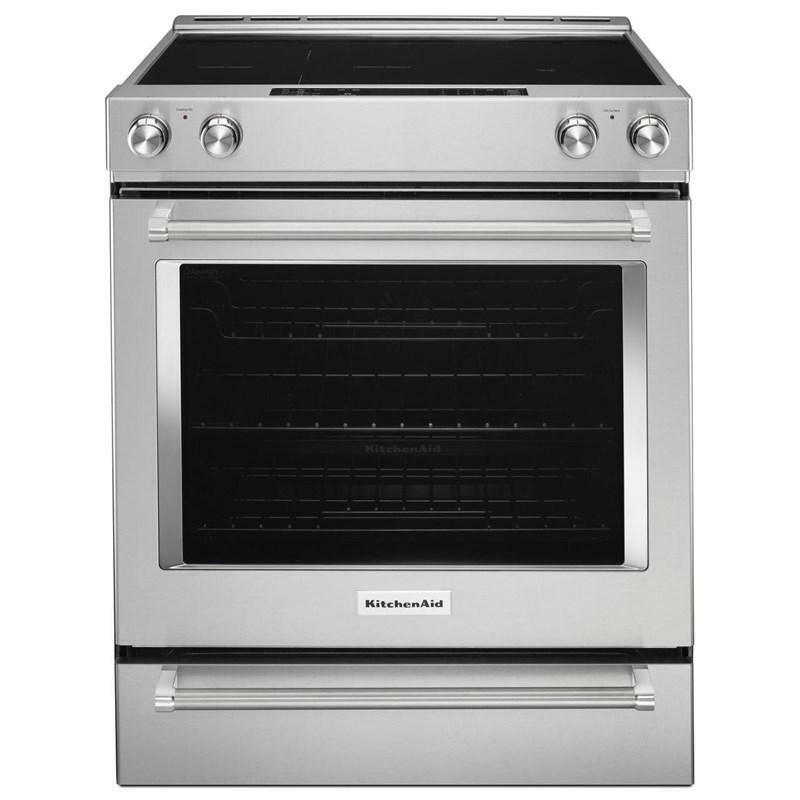 KitchenAid® 30" width electric slide-in oven with a 7.1 cu. ft. oven capacity. 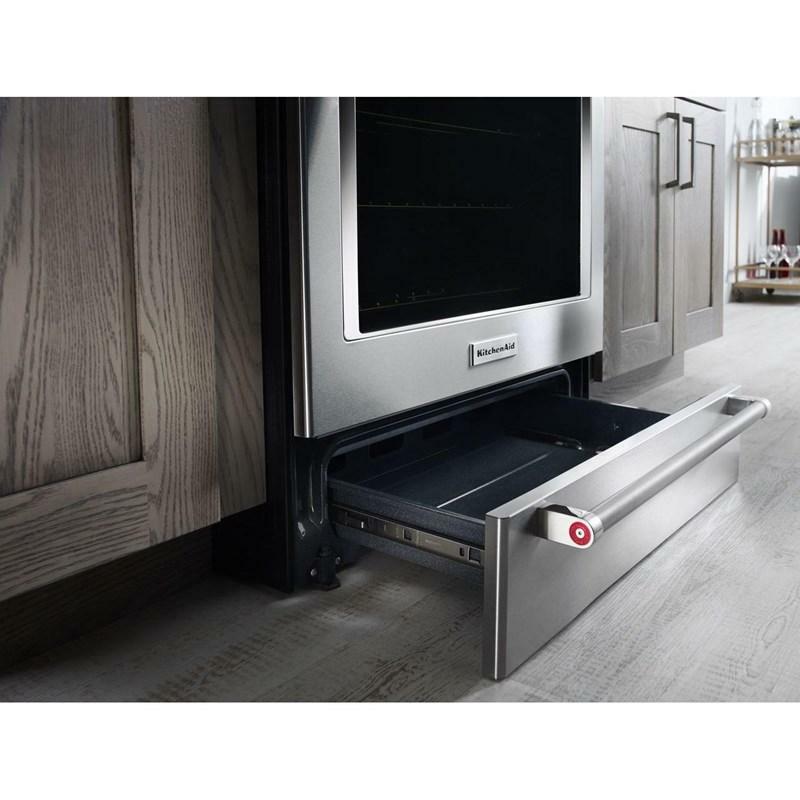 This versatile electric range provides a baking drawer that adds more options to the oven. The separate compartment allows you to bake at a different temperature. 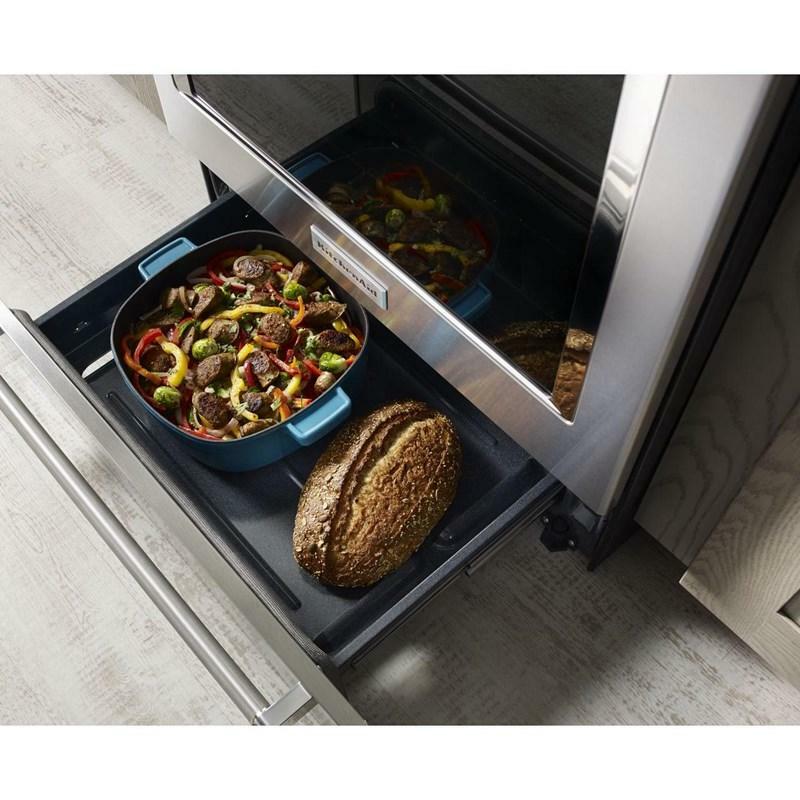 This range also features Even-Heat™ True Convection, helping you achieve flawless cooking results. The unique bow-tie design and convection fan ensure the entire oven is heated to, and stays at, the perfect temperature. 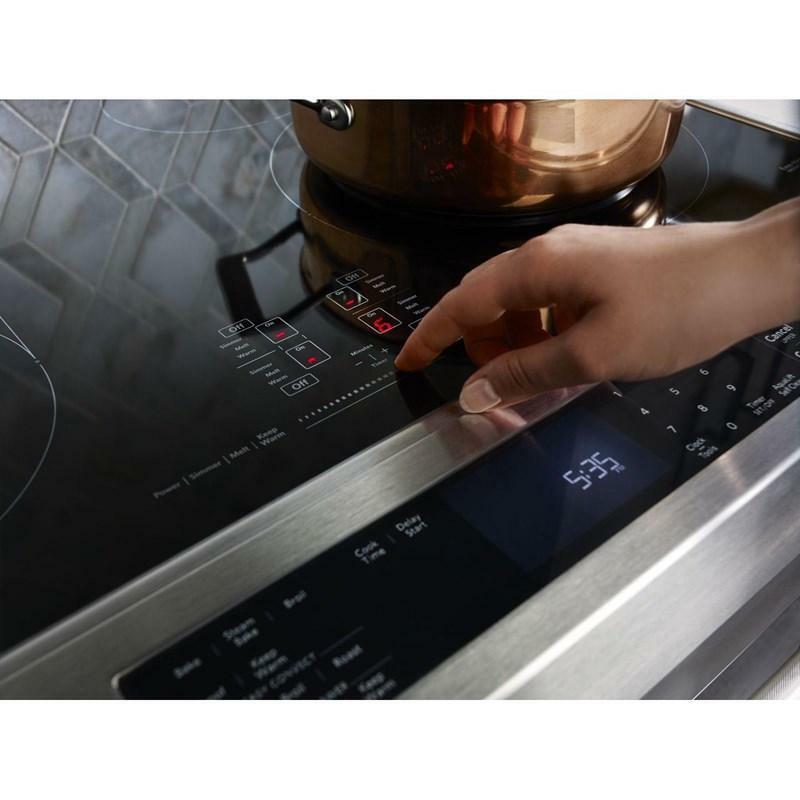 It also has a Wireless Probe that allows you to read internal food temperatures even when you're away from the kitchen. 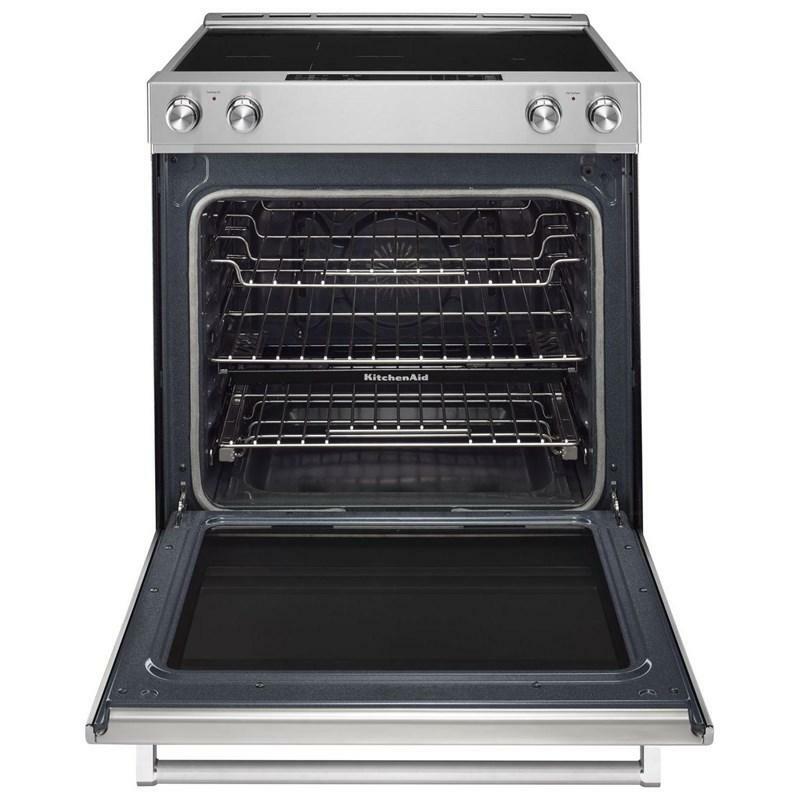 Additional Dimensions • Height from cooktop to top of vent: 1.1875"
• Depth from handle to back of range: 28.875"